On July 30th, 2016, Kahu Kalanikapuaenui Silva gathered with hundreds of Native Hawaiians who united in the “spirit of aloha” at Thomas Square to celebrate Hawaiiʻs “ Lā Ho`iho`i Ea” (Sovereignty Restoration Day). This historic event which is held annually on the Island of O`ahu commemorates the memorable occasion of Britain’s recognition of the Hawaiian Islands as an independent nation on July 31, 1843 and the return of political sovereignty to Hawaii’s government and its people. As a guest presenter for the Kalihi-Pālama Hawaiian Civic Club, Kahu Silva enjoyed the opportunity to share his expertise as a Hawaiian author, cultural resource and kahuna practitioner. 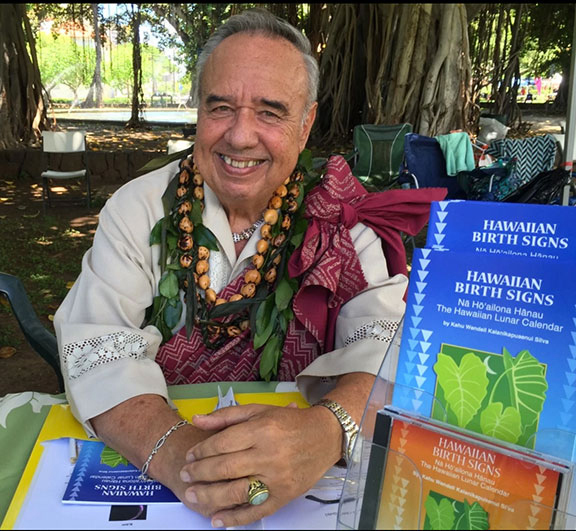 Throughout the day, he provided spiritual insights relating to his “Nā Ho`ailona Hānau” Hawaiian Birth Signs book and offered free Hawaiian astrology readings for those in attendance. Kahu concluded his cultural presentations with blessings and encouraging each of his fellow Hawaiians with the following inspirational message: E mau ke ea o ka `āina i ka pono. (Continue to perpetuate the life of the land in righteousness).